The POD-GP is designed to assist the active agent in producing long term profits by dominating a chosen geographical area. Profitable geographical areas have been identified by the company and distributed to the agents that are willing to commit to the following generating plan. It is the intention of the company and the agent that they will continue to work this plan in pursuit of a 30% personal market share in their particular POD. It is critical that you follow this plan exactly as it is designed. Gaining substantial market share in a geographical area is only possible when the agent is consistent at the plan. You cannot miss and assignment! If an assignment is missed, you take the risk of losing momentum therefore creating a lot of leads for a competitor to come in and capitalize on financially. The POD Generation Plan (POD-GOP) is complete. It is the agent’s responsibility to execute this plan and document the completed tasks and results. It is important to understand that the POD-GP takes time; it is not designed to create wealth over night. Though you may see an immediate return on your efforts, this plan will take nearly 12 months before it reaches the ‘momentum stage’. Once gaining momentum, it is nearly impossible for your competitor to take it away. 1. Passive Agent… These are agents that are afraid to make an outgoing call or knock on a door. Typically, they spend their time trying to create the perfect marketing materials which they never send out because they do not have the cash flow. 2. Active Agent… These are the agents that do zero marketing. They spend all of their time on the phone and they get great results from their efforts. They will call anyone and they typically have great sales skills. The following plan requires a combination of both passive activities and active activities. 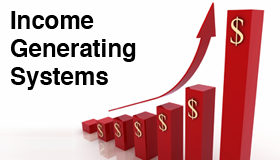 When systematically running both systems at the same time, you position yourself for immediate income along with setting the ground work for long term dominance. This plan is ready for your execution and now it is time for you to make your move. Remember, our intention is for you to gain a 30% personal market share in your POD. Your objective is to create your own Brand Name in our service area. Century 21 The Harrelson Group is the #1 producing office in the area and within 120 days you will become the #1 Brand Name in your POD service area. 1. Complete your Business Plan and decide that you will earn $__________in the next year. a. Formula: Your income goal divided by $2500 = # of sides needed to close divided by .08 = size of the area needed. b. Example: If your income goal is $50,000… $50,000/$2500 = 20 deals to close divided by .08 = 250 homes in your POD. 4. Write name of company, phone # and agent’s name, Include all FSBOS. 5. Review my numbers with the POD Manager and determine that this is a viable area for me to specialize in. 20% should move in the next year. That’s _____homes ______sides at a potential commission per side of $________to me. I only need to close _____sides to earn $_______. 6. Research all expired and withdrawn listings in your POD for the last 2 years. Cross reference each address to determine if the home was ever sold or is currently listed for sale. Print out all properties that have not sold and are not listed. This is potentially your immediate pipeline. Call all of them using the expired script. Contact every one of these leads every week until they list, sell or start to get angry. 7. Search every internet site possible looking for FSBOS in you POD, look in the newspaper, and look for FSBO signs in the community. Create a list of all FSBOS which details their address, number, owners name and all other information you can gather. Contact the entire list of FSBOS every week until they list, sell or start to get angry. 8. Preview 100% of all FSBOS in your POD within the first 21 days if starting this plan. 9. Select a Harrelson Group listing or a non Harrelson Group listing in your POD area and use the just listed script for 2 hours per day until you have called every homeowner in the community. Repeat this activity once every 45 days. 10. Select a recent Harrelson Group sale or another sale in the MLS and call the POD using the just sold script. Repeat once per month. 11. Hold a minimum of one Open House in your POD every month. Mention your Open House to people when you are making just listed and just sold calls. Knock on the doors of 15 homes prior to holding the house open, invite them and hand them a flyer and let them know that you are committed to helping your seller find a buyer for their home. 12. Knock on doors of every owner in the community. This can be combined with the Open House program yet the primary goal is to knock on ALL doors in your POD within 90 days of starting this program. 13. You must follow the Marketing Calendar verbatim. It is critical that your POD receives professional communication from you on a monthly basis. Effective communication is consistent so them seeing something through mail or email each month is important. It is a fact that a strong mail campaign along with telephone prospecting is the most effective one-two punch strategy in real estate. Include a brief overview of a marketing plan to get a home sold in your POD. 2. Discuss …(in the meet of the newsletter)… why houses will start selling at a faster pace over the next few months…because school gets out and more people will be looking to move before the next school year begins. Offer Free CMA by email. Have them email you and you will send a free CMA. Include information on how to appeal their tax value and offer to email them a FREE CMA for supporting evidence. The Surfside Beach and Garden City Beach real estate market has undergone a significant amount of change over the past few years. It has become increasingly difficult to determine when the best time is to sell a beach home in this market. Many times you will find real estate agents that will say cliches’ such as, “now is the best time to buy or sell real estate”. The truth is every circumstance is different. This is, for most people, the largest financial decision they will make in a lifetime. For many homeowners, deciding to sell their investment in Surfside Beach or Garden City can be overwhelming. The best way to overcome these concerns is to gain the knowledge necessary to make informed decisions. Over time, you will find that I provide Surfside Beach and Garden City property owners with valuable real estate information that focuses on your types of investments only. Maybe you are considering selling or maybe you plan to own your beach property for many years to come. In either case, I have made the commitment to be your primary source of information pertaining to your investment. You should have received the latest Beach Home market report a week ago. If not, the next market report will be coming out in about 3 weeks and will provide you with the information necessary to understand how your biggest investment is fairing in this active market. In the meantime, I can provide any information you may need about Beach Home investments in Surfside Beach or Garden City. Some recent information that I have provided was a market analysis to help a homeowner appeal their tax value, updated CMA to assist a homeowner in obtaining a loan modification, opinion of value to determine if how much equity the homeowner has and many other bits of useful information. By the way, my name is Greg Harrelson with Century 21 The Harrelson Group. Remember, I am committed to helping beach home owners make informed decisions with their investments. I look forward to being in communication with you in the future and please don’t hesitate to call on me in the event you need some real estate information. We are often asked this question; what do you do to sell homes? Of course, each community and each home may require a slightly different marketing strategy yet there are a few things that we know work to sell Beach Homes in Surfside Beach and Garden City. The following is just a brief description of a few marketing strategies that have helped us get homes sold in your are. Our Plan of Action may vary depending on the goals that we are looking to accomplish. Congratulations on the purchase of your beach home in Surfside Beach. A lot of people would agree that you are investing at a good time in our market. The people who are investing at this time are likely to see some nice appreciation over time. You may not know that I have been selling beach homes in this market for many years and Surfside Beach and Garden City happen to be my primary focus. Many property owners, like you, have relied on me to update them on their investments and notify them of any changes in the market. We both know that this is a large investment and having your pulse on the market at all times is very helpful. I have recently provided property owners with information that has helped them appeal their assessed value and resulted in a significant savings in property taxes. In other cases, I have provided sales data to support loan modifications. I understand that you have just made this purchase and have no plans of selling at this time. I am most interested in establishing a relationship with you where I can provide valuable information that you will find helpful. I am committed to helping everyone I can in the Surfside Beach and Garden City market. This market is in my back yard and protecting your investment helps me protect my investment. Feel free to contact me anytime. I can be reached direct at 843-457-7816 and will be more than willing to answer any questions you may have. You may know that I have been periodically sending information to owners of beach properties in Surfside Beach and Garden City. Throughout the past year, I have had an increasing amount of calls and emails from owners, like you, that are concerned about their property taxes. I have conducted some research lately and realized that in many cases a beach home may be assessed for more than 30% of its real value. Of course, if your assessed value is 30% higher than the current market value, it could mean that you are paying higher taxes then you could be. It is NOT the responsibility of the County to call you and remind you to check your assessed values and then apply for a reduction. This responsibility is yours and I have noticed that very few property owners have appealed their tax value. I have found that most people either forget that they can appeal or they are not sure how the process works. I am not in the business of property taxes yet I am a local Realtor that is committed to helping property owners in Surfside Beach and Garden City. I have market data that may be able to support a reduction in property taxes for your beach property. I would be happy to share this with you if you are interested in appealing your tax value in the attempt of reducing your tax bill. There is no obligation. I am doing this as a courtesy and in the future if there is anything that you need in real estate, maybe you will think of me. Feel free to call me direct at 843-457-7816 and let me know where you would like these reports sent. It is even easier for me to email them to you. Feel free to email me at gregharrelson.com and request beach property assessment reports. It will be helpful if I know the address and how many bedrooms you have so the reports will be most accurate. I hope you find this service helpful. 1. Research every home in the mls and look at the print outs.